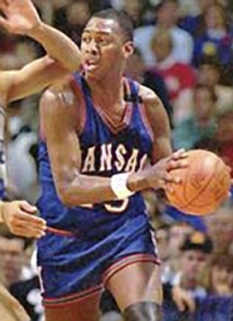 Danny Manning was born on May 17, 1966 in Hattiesburg, Mississippi. 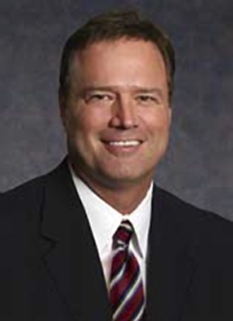 Manning won the National Championship with the Kansas Jayhawks in 1988 as a player, and again on the coaching staff in 2008. 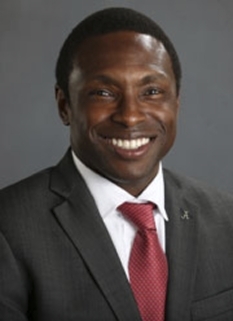 He is the son of former NBA player Ed Manning. 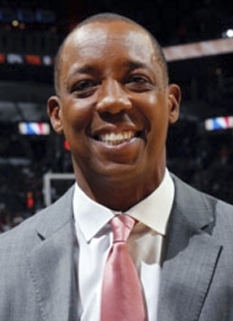 Danny Manning was drafted with the first overall pick by the Los Angeles Clippers in the 1988 NBA Draft and spent more than a decade in the league. During his NBA Career, Manning scored 12,367 points and averaged 14.0 points per game. 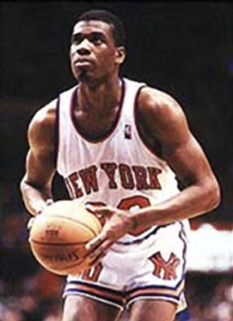 He played only 26 games as a rookie after a torn anterior cruciate ligament required him to undergo arthroscopic knee surgery, but returned for the 1989-1990 season. His most productive NBA season was 1992-1993, when he averaged 22.8 points a game and was selected to play in the All-Star Game. He was also selected as an All-Star the following season. Continuing knee problems forced Manning to become a part-time player in 1996 after he had undergone two more surgeries. He won the 1997-1998 Sixth Man Award as the best reserve player in the NBA, averaging 13.5 points while playing about 26 minutes a game. At the time Manning held the distinction of being first and only NBA player to have returned to play after reconstructive surgeries on both knees (a feat since duplicated by Amare Stoudemire). Manning was traded to the Milwaukee Bucks in 1999 and played for different teams during each of his final four seasons in the league. Manning announced his retirement from professional basketball in 2003. DISCLAIMER: PFP Sports Talent Agency does not claim to represent itself as the exclusive agent for Danny Manning. PFP Sports Talent Agency is a booking agency that represents organizations seeking to hire pro athletes and sports personalities such as Danny Manning for speaking engagements, personal appearances, product endorsements and corporate entertainment. Fees on this website are estimates and are intended only as a guideline. Exact fees are determined by a number of factors, including the location of event, the talent’s schedule, requested duties and supply and demand. PFP Sports Talent Agency makes no guarantees to the accuracy of information found on this website and does not warrant that any information or representations contained on this website will be accurate or free from errors. We are often asked how can I find out who is Danny Manning's agent? To find Danny Manning appearance fees and booking agent details, you can contact the agent, representative or manager through PFP Sports Talent Agency for speaking fee costs and availability. PFP Sports Talent Agency can help your company choose the ideal sports personality for your next marketing campaign. To hire Danny Manning for an appearance, speaking event or endorsement, contact Danny Manning's booking agent for more information.